I don’t like ‘Indie Pop’ as a classification for music. I’m perfectly ok with ‘Indie Rock’. The spirit of those two words compliment each other. ‘Indie Pop’, however, is entirely oxymoronic. It seems lazy and contradictory so I’m not going to use it any more. CHVRCHES deserve a better classification than ‘Indie Pop’ so I’ve decided to unilaterally invent a new description for their music: Craft Pop. Independent breweries don’t make indie beer, they make craft beer. ‘Indie’ is a business term, warped by time and The Internet. ‘Craft’ sounds so much more delicious. ‘Craft Pop’ has an implication of artistry and detail and handmade goods. ‘Craft Pop’ makes me think of warm blooded human beings creating meaningful art. ‘Indie Pop’ makes me think of dudes in suits figuring out an effective way to market to my demographic. ‘Indie Pop’ is nonsense. ‘Craft Pop’ has mass. Every Open Eye is a shiny and imperfect craft pop record. Hoping to build on the success of their excellent 2013 debut The Bones of What You Believe, the Sottish trio CHVRCHES have returned with a new album that manages to skirt safely around the sophomore slump. Every Open Eye is a more polished, more serious record than its predecessor and it displays an incremental step forward, not a radical reinvention of the band’s synth driven sound. In a not-too-distant-alternate-reality, the music of CHVRCHES would be Top 40 fodder for sure but in this universe, they will have to settle for the respectable (though made up) title of Best Craft Pop Band of the Mid 2010s. There are no band songs on Every Open Eye. The eleven track run of the undeluxe edition of this album has a grand total of zero duds. Every Open Eye starts and ends strong. The opening two tracks, “Never Ending Circles” and “Leave A Trace” would rank high among the group’s best songs and the album closes with the gorgeously vulnerable ballad “Afterglow” but between the bookends, there are inconsistent moments of glory. It’s an album with a high replay value, but only a handful of tracks manage to stand entirely on their own. This album thrives on the attack. The best songs feature the most aggressive, uptempo synthesizer arrangements like “Clearest Blue”, “Make Them Gold” and “Empty Threat”. When combined with the emotionally charged electricity of Lauren Mayberry’s vocals, CHVRCHES are able to create energetic craft pop of the highest caliber. Every Open Eye is an accessible and enthralling record that proves CHVRCHES are worthy of larger stages but it’s a half step forward that hints at their true potential. Throughout Every Open Eye, it’s clear CHVRCHES care deeply for their craft. They are a testament to the enduring power and challenge of pop music. For CHVRCHES, pop is not a medium to be mass produced and consumed blindly; it’s a delicately detailed, handmade product deserving of care and attention. Creating universally accessible or popular content is never an easy task but CHVRCHES are up to the challenge. 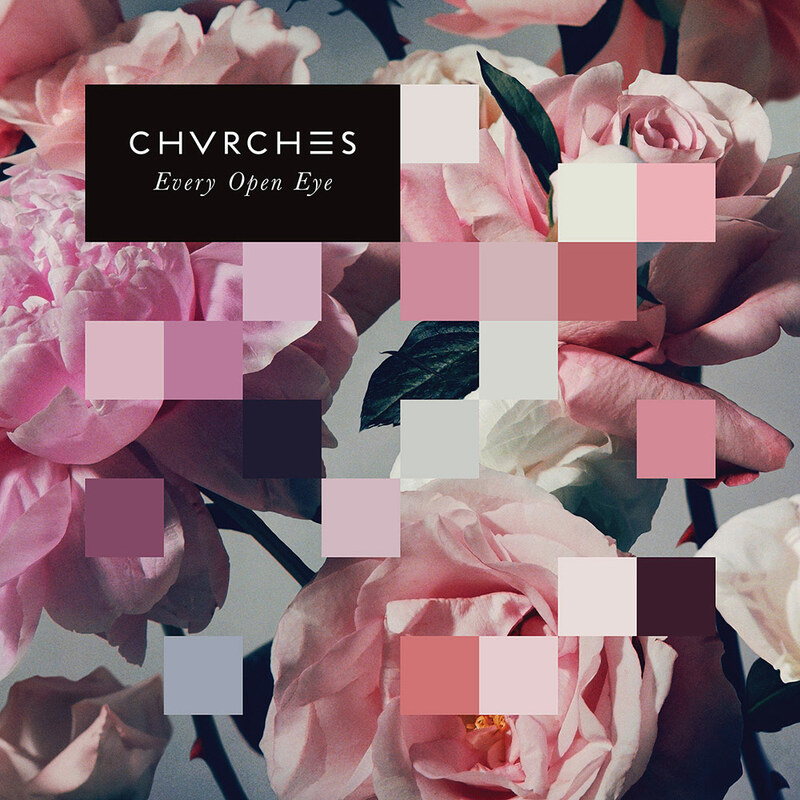 The best from this band is still on the horizon but while we wait for CHVRCHES to realize their full potential, we can enjoy this lovable little craft pop record called Every Open Eye.